Phar Lap, known in his time as the Wonderhorse, is an icon of Australian History. But how much of his physical history actually remains around Melbourne? Since it's Spring Racing season, I thought I'd look around and see what I could find still lying around the city. 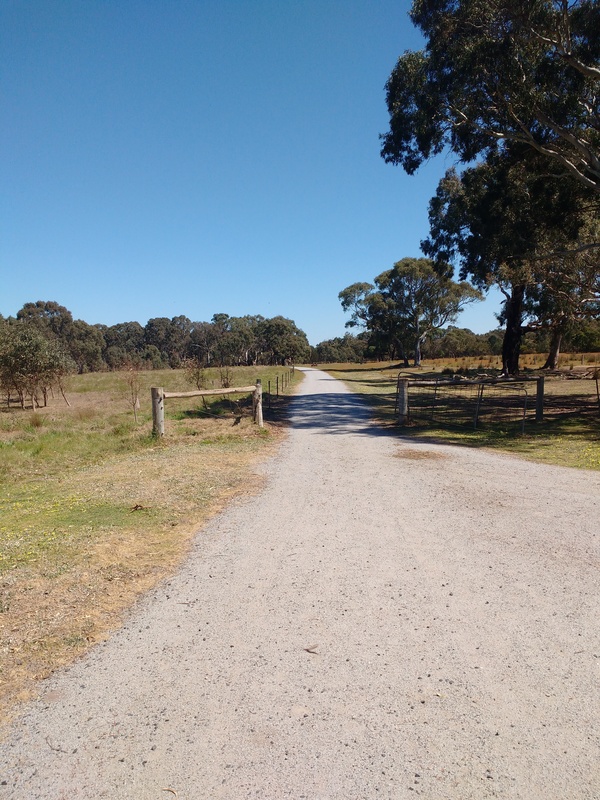 My first exploration led me to Braeside Park where Harry Telford, Phar Lap's trainer, had his stables. While it's now in the heart of suburbia, in the late 1920s it was very much on the edge of Melbourne making it the perfect place to set up a training establishment. While there were stables and a homestead on the property when Telford leased it in 1929, what he did was modernise and enlarge the complex. It was with this information in hand that I set off down Lower Dandenong Road to Braeside. The Park notes and the park itself downplay its connection to horse racing and Phar Lap, with only two real obvious hints available about its past use. 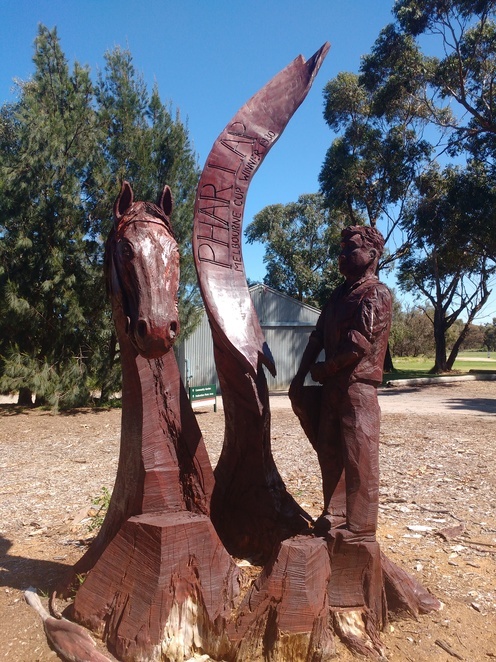 The first is the name of the Telford Picnic area, the second is a sculpture of Phar Lap, just near the main Parking area. So much for the Wonderhorse. It's at this point where the Google Satellite comes in handy. The satellite view shows what is clearly the old training track, which now forms part of the "Red Gum Trail". It's well formed, flat and an easy walk - and one of the few places that you can walk in the literal footsteps of Phar Lap. Google Maps, however, did have a further small lead for me in my quest for Phar Lap. Marked on the map is "Phar Lap's Old Stable Site". Putting my trust completely in Google, I parked in the Kookaburra Car Park and went for an explore into the scrub. I was awarded with a clearing, which apart from many rabbits looked completely empty. Further exploration revealed foundations and brickwork - the only physical remnants of the complex that was once here. It was at Braeside that the spirit of Phar Lap was most felt following his suspicious death in 1932. The Sporting Globe reported, "The tragedy has been a terrific blow to him (Telford). Listlessly, he wanders round the place - into the huge stables, out again into the exercise yard and down onto the track, following a phantom or, perhaps, listening for some spirit voice that will tell him Phar Lap is not dead." 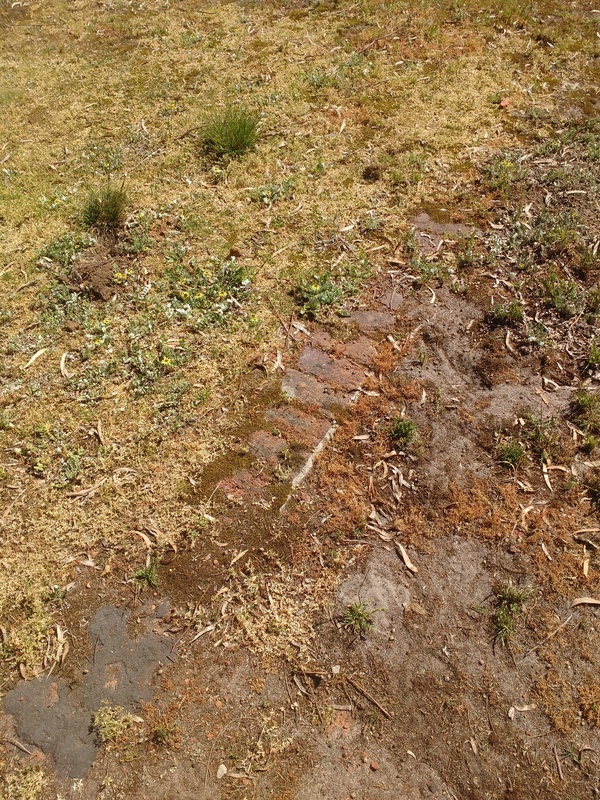 The phantom has long since left the park, but some clues to the glorious past of Braeside may still be seen if you search hard enough.